The British summer. Not so much 6 weeks of blazing sunshine; more like 6 days of sun, the rest murky, can’t make up its mind, or total downpours. And we can’t always be outside in all weathers. 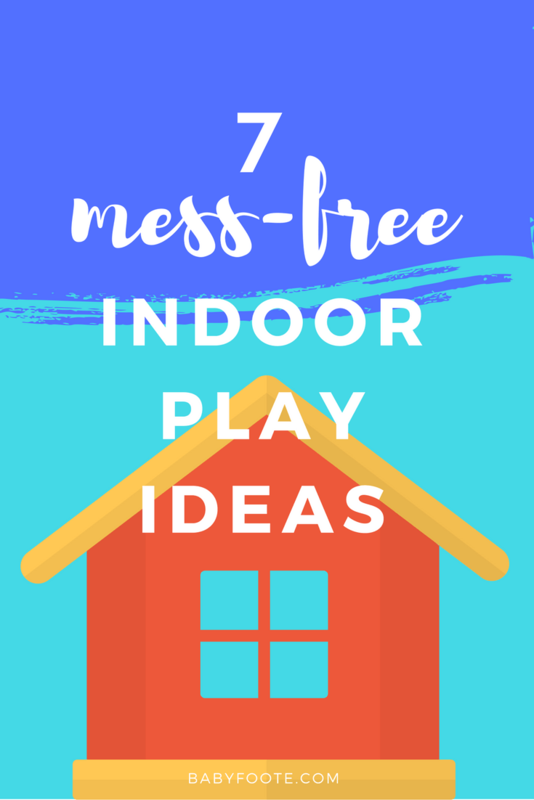 So, I’ve pulled together some of our favourite indoor activities for toddlers or preschoolers, and gone for the mess-free versions. No-one likes mess if they’ve got to clean it up, and if you’re reading this, chances are YOU are doing the cleaning. All of these would be wonderful activities to keep an older sibling busy while a newborn is feeding or napping. I absolutely LOVE the coin sorting activity in this video, and we’ll be doing that the next time we need to entertain the boys indoors for whatever reason. The other two are really cute – if you follow me on Instagram you might have caught the wonderful cut-up-pieces-of-straw-necklace James made me when his brother was quite new. This one involves some pretty neat cutting skills, a small amount of folding, and some glueing. My 4 year old can manage this easily, while my two year old makes some attempts and ends up with less spines than the instructions suggest. So, you might need to watch and assist as required, depending on the skills of your children. You can see the dinosaur version we made in this post. If you follow the pin then you’ll get to see the full instructions, as well as a video of how to make this cool moving paper fish. Ok, so it’s raining outside, you don’t want to go out, but you’ve still got to eat. What do you make for lunch? These pizza bagels because you’ve probably got all the ingredients already in the house. If not, substitute a bagel for a pitta bread or a tortilla. They’re almost mess-free because you’re going to eat the majority of it, I think! Children usually eat what they make. Again, click the image to go to the pin, and click once more to be taken to the website for full instructions. I don’t know about your house, but here there are two things my kids love to do together: 1. play LEGO, and 2. watch Team Umizoomi. The first you know about. The second, if you’re not already aware, is a programme in which two siblings and their robot friend solve lots of conundrums around Umi City using their mighty maths powers. 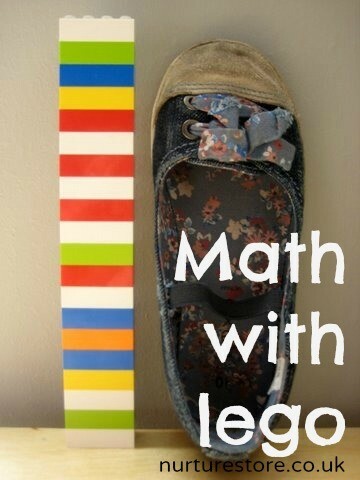 And so a combination of using maths with LEGO sounds like an out and out winner to me. We’re going to be trying this maths with LEGO idea from Nurturestore the next time we need rainy day activities for the kids. The chances are you have a straw or two around your kitchen. Unless you’re totally against them (and I’m with you, just they come in boxes of 1,000,000 and you can’t use them all up at once). So here is a really fun way to use those pesky environmental-disaster – plastic straws. You need two different sizes of straws for this activity, or else make a little pocket from a squashed roll of paper. You’ll see what I mean when you look at the instructions. This rocket is a bit of maths again – there’s nothing like learning without realising it! 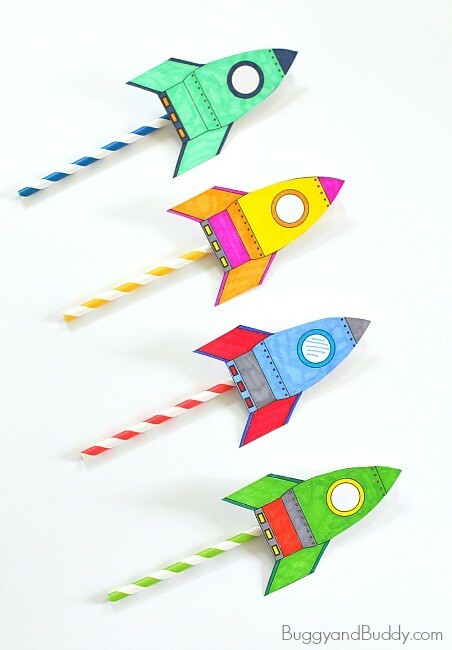 If you go to the Buggy and Buddy website you can download the rockets to print out, with the instructions, but you might like to get your preschooler to draw a rocket instead. What are your favourite activities for toddlers or preschoolers when it’s rainy or you need to wait inside for some reason? I think all of these would be wonderful activities to keep an older sibling busy while you’re breastfeeding a newborn. And for the grown-ups — while your children are busy — you might consider playing online bingo. This site makes it easy to track online gaming brands and sites with the best deals. Boomtown Bingo has reviewed each bingo site listed to give you an idea of what they offer (good and bad). Don’t forget to pin this post for your next rainy day!